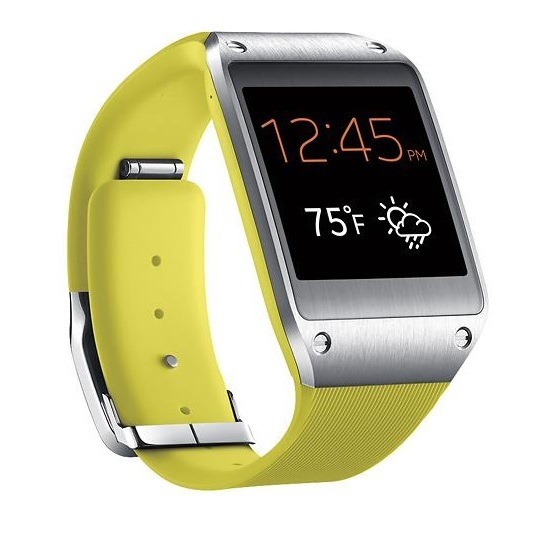 The original Galaxy Gear wasn't for everyone (particularly people who don't own a Samsung phone). It also suffered from limited app compatibility and a quirky interface. Its biggest drawback, though, was the price: $299. That's a lot to ask for a smartwatch that only does a handful of things. But what about $99? That's how much Best Buy is currently selling refurbished models of the device for as part of today's deal of the day. There's a decent chance that many of these refurbished models are essentially new watches that people returned not long after opening. Despite what the screenshot above says, you won't be able to have one shipped to your doorstep - though it looks like store pickup is available. 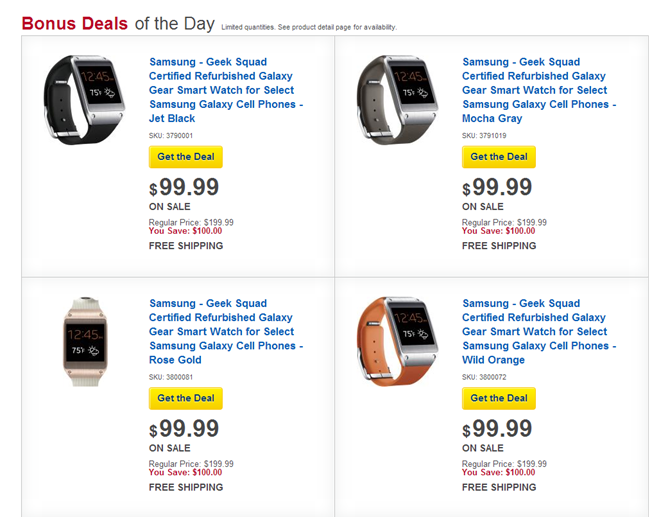 If price has been the only thing holding you back from picking up a Galaxy Gear, today's the day to get one before it's gone.